When it comes to accessing the arts, many teenagers don't know where to start. That’s what the nonprofit arts organization Urban Gateways says it discovered after surveying more than 1,000 young people in Chicago. “The cost of a ticket was a huge barrier, as well as finding information about what was out there,” said Eric Delli Bovi, executive director of Urban Gateways. To help alleviate those barriers, Urban Gateways worked with teens to create the Teen Arts Pass, or TAP. 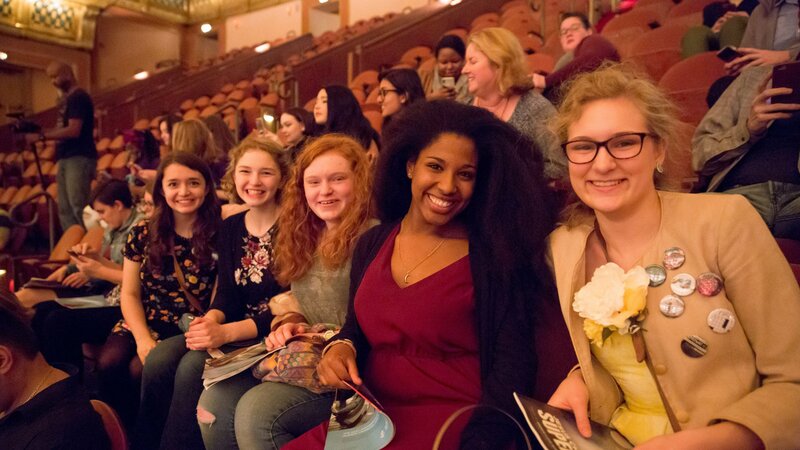 The program lets young adults between the ages of 13-19 buy same-day $5 tickets to cultural events in the city, whether that be a music concert, an exhibition or a play. To participate, teens sign up for a pass they can use at any of the program’s 25 partners – each having agreed to offer the discount. Among the participating venues are the Goodman Theatre and the Chicago Symphony Orchestra. Delli Bovi recommends they call the box office after they find an event on the calendar, which is available on the program’s website. The program has nearly 1,500 registrants since it first launched last month. Delli Bovi says several more are signing up every day and in a few months, Urban Gateways will begin to look at data to see how many are using TAP. “What we hope through this program is teens know that it’s encouraged to try and do new things, and that the risk is pretty low,” Delli Bovi says. Delli Bovi and two teens involved with the making of TAP – Devon Ward and Ida Claude – join us to discuss this new initiative.